Met one of my friend (F) (who also follows this blog) in a community gathering. After we exchanged pleasantries, the discussion lead to blog and its recipes which happens most of the times with my other friends these days ;). F: What's up next on the blog? F: I tried few recipes and loved them. Green Gram Dhokla was a hit during my party. Below is the recipe I tried ... inspired from Shireen's space Ruchik Randhap. I have tried few more recipes like soya granules subzi, mix veg pulao, carrot garlic chutney, and my family enjoyed all of those dishes. So I was sure that Shireen' recipe for this dish would also be a hit. 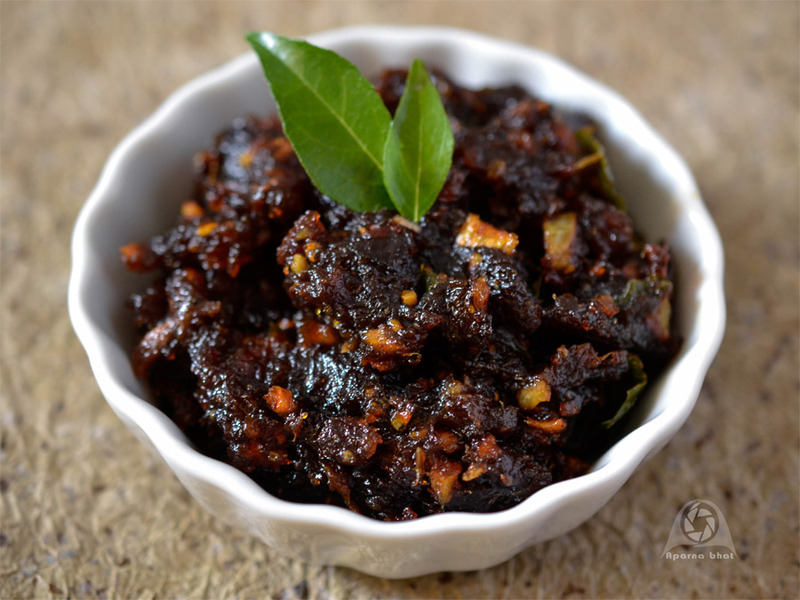 Don't know what to name this dish - pickle or chutney, I would include it under accompaniment. Shireen named the dish as chutney as she had added water. I have totally excluded water from this recipe, you may add if you want it to be paste like consistency. Heat oil in a non stick pan or kadhai. Add mustard seeds and as they splutter, add curry leaves, minced green chilli, ginger and chopped garlic. Saute them on low flame for a minute. Next mix in dates and continue stirring it on low flame. Toss in the powders - turmeric powder, ground powder and saute it nicely taking care not to burn it. Add brown sugar, salt to taste and vinegar. Bring the mixture to boil. Switch off the flame, allow it to cool and later transfer into dry jar. Keep it refrigerated. Serve as an accompaniment with chappatis, dosas, curd rice, ghee rice. I served them with Oats Brownbread Utthapam. Recipe coming soon! Note to my friend : Thanks for your suggestion I made an attempt to prepare this. 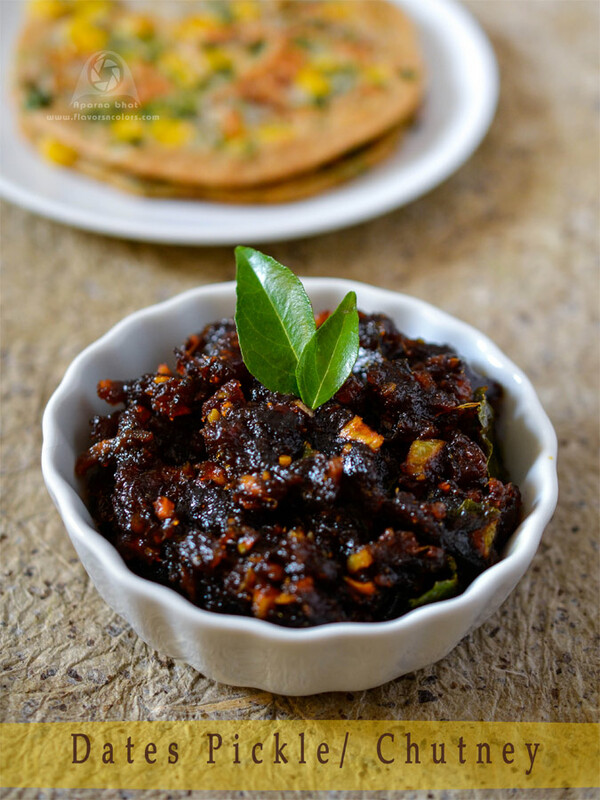 Though the pickle has sweet taste [I realized it later that the dish again has natural sweetness in it because of dates :P], do try this spicy, sweet, sour dish and believe me you will really enjoy it .. Its lipsmackingly delicious ! This pickle is something i can have happily with some rotis, soo delicious.